Since 2007, the price of pellets have been on average 50.1% lower than the heating oil price and 40.3% lower than the gas price in the 4 Member State leaders in the EU pellet market. Pellet prices are much less variable than fossil fuel prices providing more price security and reliability to consumers. An important factor for the cost-effectiveness of wood pellet heating is the highly efficient heating devices that were developed for this fuel. Wood pellet central heating boilers, like wood pellet stoves, can transform more than 85% of the energy contained in the fuel into usable heat. It is this combination of low fuel costs and efficient utilisation that makes wood pellets so cost-effective for individuals. 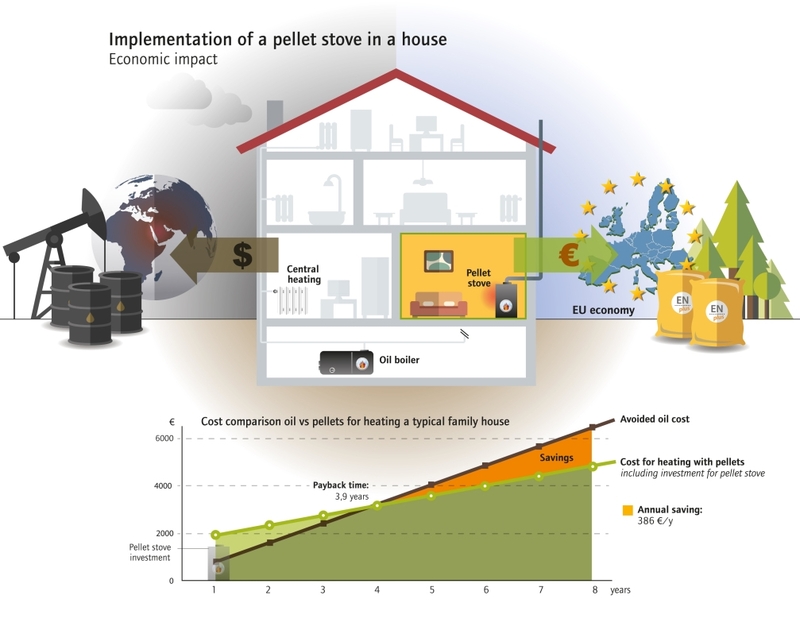 The illustration to the right shows the economic impact of installing a pellet stove in a typical family house. 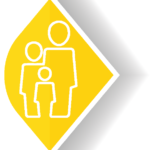 The upfront investment in a pellet stove can be recovered in less than 4 years. 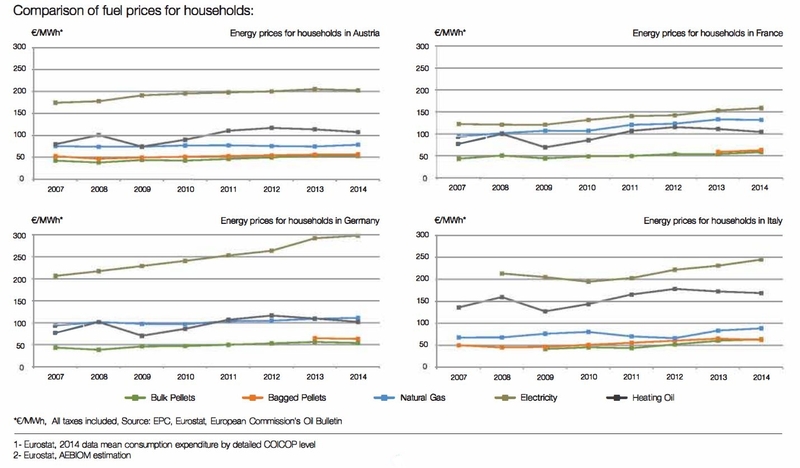 Afterwards, the family will start saving almost 400€/year by partly replacing the purchase of oil with pellets. With pellets, individuals are not only saving money, but they are also supporting the EU economy and the creation of jobs within their neighborhood. As the pellet industry is not concentrated in a handful of countries but is widespread all over the European territory, multiple impact studies have shown that the pellet industry clearly helps to revitalise rural areas’ economies. Nothing can replace the comfortable feeling of a nice wood flame! Using a pellet stove ensures the user to have this nice feeling within a fully automatised system. A pellet boiler will offer the same comfort as any central heating system, allowing the user to enjoy a constant temperature within the entire house. Using pellets is also convenient as most of the systems are fully automatised. The user just has to make sure to have enough pellets and empty the ash tank at the advised period. The maintenance is required once a year, at most frequent. Current stoves and boilers now perform extremely well, allowing the user to extract the most out of the pellets. Indeed, the efficiency of pellet appliances are upwards of 85 % or even more with high performance stoves and condensing boilers.